This weekend, the Franschhoek Valley celebrates the 21st edition of its annual Bastille Festival, reminiscing on its French Huguenot heritage while sharing in France’s Bastille Day festivities. And what better way to do this than with a glass of MCC! 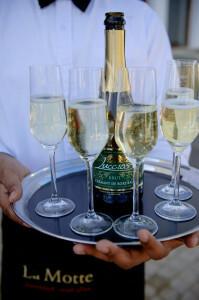 MCC, the abbreviation for Méthode Cap Classique, is the South African version of Champagne. 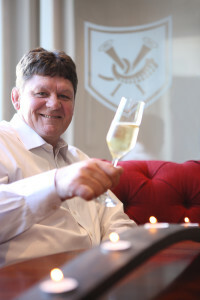 Made in the traditional way or méthode champenoise, the quality of this South African sparkling wine that undergoes secondary fermentation in the bottle, has been improving by leaps and bounds and can now proudly stand next to its European equivalents. In the Franschhoek Valley, especially, the quality of Chardonnay and Pinot Noir grapes are enabling winemakers to make exceptional sparkling wines – enough so, that the local tourism office has initiated a Franschhoek MCC route. With a total of 18 producers, the Franschhoek MCC route guides visitors to all the estates producing Méthode Cap Classique wines while offering an all-round experience of what Franschhoek has to offer. 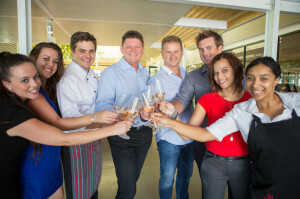 While this is a beautiful example of how Franschhoek’s cooperation between the Tourism Office and Wine Route enables the area to set itself apart as a tourism destination in South Africa, the celebratory spirit of a beautiful sparkling wine, has done the same in other producing countries. Epernay and Reims. Although famed for the prestigious champagne houses such as Moët et Chandon and Veuve Clicquot, the rolling countryside and villages with vignerons and family run vineyards delight in the tradition of champagne-making. The Massif de St-Thierry route is a circular tour to the north west of Reims, through small villages, dense forests and mediaeval churches, such as that of Cauroy-lès-Hermonville. The Montagne de Reims route is along one of the richest wine-growing areas in France – the tranquil hillsides between Reims and Epernay. The Vallée de la Marne route is especially popular under walkers, with its footpaths through vineyards. The route guides one through the valley of the River Marne between Epernay and Dormans and to wonderful views from the plateau above Epernay. A highlight on this route, is the village, Hautvillers, famous for its abbey where Dom Pérignon is said to have discovered the secret of champagne-making in the 17th century. South of Epernay, is the home of Chardonnay and the Côte des Blancs route passing through the beutiful village of Oger. The Côte des Bar route lies to the east of Troyes in the Aube and is home to the largest champagne growing area, the village of Les Riceys, with its three Appellations d’Origine Contrôlée, one of which is the famous Rosé des Riceys, with its rosé wines made from Pinot Noir grapes. Cava is the Spanish equivalent to champagne and here, tourists are also invited to enjoy the Spanish sparkling wines on a Cava route. The most important and well-known is the Penedès Cava Route in the region of Catalonia, located between the plains of the Mediterranean coast and the nearby mountains. France’s neighbour on the other side, Italy, is also known for its sparkling wine and here you can learn more and enjoy the beautiful wines on a Prosecco route. The Strada del Vino Prosecco or Prosecco wine route is 47 km long and winds around the hills of Conegliano, Feletto, Quartier del Piave and Valdobbiadene, also featuring beautiful countryside, small villages, museums, historical highlights and of course, delicious food.